Eric K. Ward is currently the executive director of Western States Center. Western States Center’s mission is to connect and build the power of community organizations to challenge and transform individuals, organizations and systems to achieve racial, gender and economic justice. Ever since his childhood as an African American male, Eric has been a civil rights activist and strategist. He spent 1990 – 2010 working with communities across the United States to counter social movements seeking to use bigotry and hate violence to undermine democratic society. Before joining Western States Center, Eric was the Program Officer overseeing racial justice and civil rights for the Ford Foundation. He was interviewed at our Tikkun office in Berkeley during a brief visit he made to the SF Bay Area. This interview appears in the Winter/Spring 2018 issue of Tikkun magazine. Tikkun: How did identity politics become a central part of liberation struggles? The modern emergence of “identity politics” occurs within the liberation movements that arose in the wake of the 1960’s Civil Rights campaigns. Huge victories against segregation had been realized, shifting the country from a de jure white supremacist nation (with practices that are legally recognized by official laws), to de facto white supremacy (where discrimination is generally known to exist, even if not legally authorized). This was a significant victory, historic in its accomplishments. However, civil rights leaders and activists understood there was still much work to do. While segregation by law was defeated, underlying racial disparities in health, education, housing, employment and social access still existed, and if left unchecked, these gaps would prevent Blacks from achieving full opportunity in America. Even if everyone now had the legal right to unsegregated jobs, public transportation, housing, and education, deep underlying systems of discrimination continued to create disparities based on a person’s race. This is evident today in terms of mass incarceration, infant mortality and graduation rates. Underlying systems of bias create unequal outcomes even though there is equality under the law. The 1960s Civil Rights movement’s decision to address these systemic barriers to equality were met by a significant and sometimes violent backlash. Even in liberal centers as Chicago, Detroit, Boston and New York City, the demand for full equality was met with increased criticism by white northern and elected leaders arrogantly accusing the civil rights movement of being off course. Some government agencies like the Federal Bureau of Investigation (FBI) had already been undermining the Civil Rights movement but now, leaders and activists found themselves under political attack from former liberal allies. After the assassination of Reverend Dr. Martin Luther King Jr. in 1968, and in the face of white America’s refusal to address institutional forms of racism, the movement began to descend from its peak of influence. This was a serious loss. The Civil Rights movement had a powerful impact. It had a noble goal grounded in a moral imperative about who we are as a nation and who we wanted to be as a people. It was very profound in its visionary idea: by lifting African Americans up in this society, by lifting them past discrimination, all of us in this society would benefit. It wasn’t simply about making the lives of Blacks better, it was about redeeming the soul of America. This was probably one of the most revolutionary concepts to ever emerge in the United States. Tikkun: How did this set the stage for the emergence of identity politics as we know it? Where a void exists, it will be filled. By the 1970s, the rise of new liberation movements in the U.S. began to fill space once occupied by MLK Jr. and the Southern Christian Leadership Conference. Organizations like the Student Nonviolent Coordinating Committee (SNCC) and Congress on Racial Equality (CORE) turned away from an unresponsive mainstream and focused on building Black political strength, economic self-sufficiency and cultural influence as new agents of change. Known as the Black Power movement, some groups like the Black Panther Party and US Organization utilized the rhetoric of armed revolution. In the face of the rejection of broader opportunities for Blacks and unchecked rampant police violence in the North, these new leaders rejected what they saw as hypocritical calls for incremental change and utilized a more militant stance to get the attention of policymakers and the public. The rhetoric provided an opportunity for law enforcement agencies to aggressively increase their violent crackdown on liberation movements. Many elected officials turned a blind eye as law enforcement at the federal, state, and local levels violated civil liberties that sometimes resulted in murder. By the mid-70s, the government’s use of an FBI-led counter intelligence program aimed at disrupting and manipulating social and political movements, including the Black Power movement, coupled with the internal tendencies of some Black Power organizations towards authoritarianism, toleration of misogyny and self-isolation led to the demise of Black Power. As the 70’s came to a close, there was little left. So many leaders had been killed, jailed, burned out or driven into exile. A chill descended not only over Black America but also over communities of color and anti-racist whites who had adopted similar tactics. What was left of the Civil Rights and Black Power movements, primarily turned its attention to the courts and shifted its priorities from the expansion of rights to securing those that had already been won. The mass movement for civil rights in modern America had for all sense and purposes, come to an end. It is within this context, identity politics, as it is commonly referred to, began to take form. Tikkun: There are many in America who see identity politics as a huge problem. Even in Tikkun’s editorial board there are strong differences about its place in a transformative movement. What’s your analysis of why it has become so controversial? People have long identified themselves by ethnicity, gender and religion, but racial identification is something new. The pseudo-science of race (also known as race eugenics) was accepted in order to provide justification for conquest and exploitation of Black and indigenous cultures in the “age of discovery” and the following period of colonization. To be clear, it’s not as if Black people, Chicanos, Asian Americans, Puerto Ricans, Native Americans, women, and the LGBTQ community just woke up one day and said, “let’s create identity politics.” Those who are most vulnerable rarely have opportunity to identify and name themselves. Historically, some of the largest struggles to expand rights, or create conditions for people to continue to exist, have often centered around the abilities of people to define themselves and their community. The truth is, identity politics exist because people of color, women and LGBTQ communities have been systemically shut out of larger society and this includes progressive and liberal spaces. I reject the recent trend of blaming these communities for empowering themselves. However, I also strongly reject the growing practice by many leaders within these communities to treat identity politics as a final destination. It’s not. Identity politics are supposed to be our bridge to rebuilding people centered movements for justice. Its purpose was to center us so we could recognize one another’s common humanity. Tikkun: Could you give some examples? In 1977, the amazing Black feminists released a powerful document called the Combahee River Collective Statement. The statement clarified identity politics, saying, “We believe that the most profound and potentially most radical politics come directly out of our own identity, as opposed to working to end somebody else’s oppression.” They argue quite persuasively that by centering the experiences of Black women, they would be in a better position to better understand the deep societal inequalities driven by sexism, homophobia, racism and class divisions. They also rightly believed that they would be more motivated to address these issues. Expanding on some of the amazing writings of Angela Davis, Audre Lorde, Barbara Smith and others, they went on to write, “We reject pedestals, queenhood, and walking ten paces behind. To be recognized as human, levelly human, is enough.” When you go back and read the works and speeches of all these powerful feminists of color, you see they clearly understood people are not simply one identity: no one is just simply white in this society; no one is simply gay, lesbian or trans; no one is simply Black; no one is simply Jewish; no one is simply wealthy or poor. We are made up of multiple identities that form who we are. These identities should not be used to separate ourselves, but rather as vehicles to recognize our common humanity. These visionary feminists understood embracing these multitudes of identities would help us realize whether you are a 65-year-old white male facing job discrimination, or a 16-year-old Black girl simply trying to walk home without being racially profiled, neither should face discrimination. Neither should be denied the right to live, love, or work. That is the essence of “intersectionality,” a term created by civil rights activist and legal scholar Kimberlé Crenshaw. She argued centering the most vulnerable, would expand opportunities that move all of us forward, together. 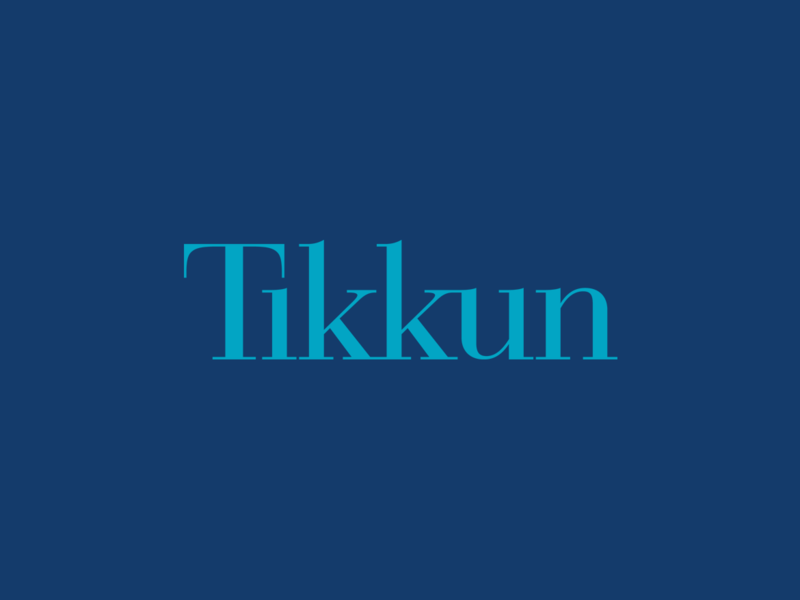 Tikkun: In your view, is that the way identity politics manifests itself in today’s movements? Sadly, the clarity of these feminists of color, many of them LGBTQ, has been lost on many of us. Identity politics are often distorted and misused both inside and outside of these marginalized communities. It can often be used in ways that are more about power plays than about equitably organizing power in society. Misrepresentations of identity policies treat race, gender and sexuality as static terms rather than fluid narratives used to expand and reinforce inequality in the United States. The problem with many claiming identity politics today is they often base their understanding of it on the belief that race is an actual, biological definition—ironically reinforcing the white supremacist narrative that race exists. Race, gender and sexuality are about social construction not biological definition. Race does not exist. What exists is racism. It is a tool of social control and exploitation rather than a biological definition. This misunderstanding has resulted in the term intersectionality being misused to create new silos rather than centering Black women as a path to reinforce our shared humanity. The problem with strengthening narratives that force people into a position where their only identity is only white, or male, or a woman, or a Jew, or Black, is that it strips them of the fullness of their humanity. It simply doesn’t speak to who we are as humans. Quite frankly, it is a distortion of identity politics because it argues one’s only role is that of an ally. The problem with the concept of “ally-ship” is that there is no stake or common destiny in being an ally. It treats the self-interests of others as a negative trait, it ignores relevant nuances of power and systems. Being subjugated to a role of an ally, ensures we’ll never build a large enough movement or common identity that is viable enough to defeat systems of white supremacy or an emerging white nationalist movement. All we will do is leave inequality firmly entrenched. These missteps increase the ability for more reactionary individuals to expand their attacks on civil rights and other people centered movements. The task before us is to move beyond our self-made bunkers as well as the ones society imposes upon us. Those of us empowered by identity politics must also be prophetic voices in our society — providing a broader vision of who we are as humans. Empowerment and consciousness isn’t just a gift, with it comes the burden to create an inclusive democracy: this must be people centered, transparent and accountable. Frankly, it’s time to ignore those in our communities who call for the building of new trenches that merely allow us the illusion of being able to hide from one another. Identity politics are not about dehumanizing others, they exist to move humanity forward. Identity politics are here to prepare us for running into the fire, not from it. That is the authentic truth of the politics of liberation. Tikkun: You recently wrote about how anti-Semitism fuels the growth of white nationalism in the U.S. Could you explain that? As many in the Jewish community entered the 70s they found themselves facing less– not none, but lesser– discrimination. Jews found themselves in a situation where they were being defined as white not only by white society but also by anti-racists and elements of the political Left as well. A discourse developed around anti-racism so strict, it no longer allowed a self-identity for Jews, except to assume the primary role of “white ally.” If leftist, progressive, and liberal Jews (of certain phenotypes) refused to identify as white, they found themselves without a space, without a home and as a result, many disengaged or began to claim whiteness as a primary identity so they could belong somewhere. Insisting Jews identify as white and therefore “privileged” no longer allowed a space for a conversation about anti-Semitism. The political Right was the only place to identify manifestations of anti-Semitism. How could a supposed “white ethnic” group’s suffering compare to what was happening to communities of color or women? Jews were forced to suppress their own history and experiences within anti-racist circles. As a result, our society found itself defenseless as white nationalists intentionally used anti-Semitism to form its worldview, develop leadership and fuel its growing social and political power. Positioned perpetually as “the biological other,” Jews often find themselves wrongfully cast as the existential evil behind every social disparity, scandalous leaders or societal disaster. This is largely how anti-Semitism functions in the West today. We must accept there is anti-Semitism in America and none of us are immune, including our own movements for justice. Like all forms of bigotry, anti-Semitism evolves and adapts itself, and there are specific roles and purposes to anti-Semitism in America today, the history of the 1960s I discussed earlier provides a good example: the Civil Rights movement achieved in the 1960s through its nonviolent struggle—making legal discrimination against African Americans illegal. That victory was helped in part by a broad multiracial coalition that embraced nonviolent direct action and fought to dismantle legally sanctioned discriminatory practices. The loss of de jure white supremacy created a large problem for the advocates of white supremacy who long justified slavery and Jim Crow by arguing Blacks were inferior and whites were superior. If you believe you are superior, how do you explain this significant defeat? You can’t say those who were inferior bested you, there must be another answer; and an adaptation of modern European anti-Semitism provided the explanation. In short, they decided a secret Jewish cabal must have been behind the Civil Rights movement. They argued, this was the only way Black folks could have won. It then became the “go to” answer in how white nationalists understood women’s rights, immigration, Muslims, reproductive justice and gender identity. They argued these were all mere fronts that allowed Jews to enslave whites. It is this narrative that helped to birth the white nationalist movement from the ashes of de jure white supremacy. If white supremacy is a system of disparities and bias used to control and exploit women’s sexuality, people of color and immigrants, white nationalism seeks the removal of people of color all together. Anti-Semitism became the fuel for the white nationalist engine. Instead of recognizing this threat, many anti-racists, leftists and progressives insisted Jews primarily recognize themselves as whites with privileges. Yet the truth is that Jews are not “whites” in the United States. If they were, they would not receive death threats, their houses of worship would not be targeted, their burial sites would not be desecrated. Systemic anti-Semitic violence and threats are forms of social control and they exist to ensure that Jews know their place. It is more accurate to say Jews in this country hold a form of temporal privilege. I liken it to my experiences in philanthropy. In my seven-plus years working as a grant-giver in philanthropy, I automatically became the most humorous person in the room. I was suddenly a 100 times better looking. Nearly everyone returned my phone calls. People would also send me invitations informing me of fundraisers and asking for individual donations of $500 or more. Yes, I had time-based privileges and access but it was only one small part of my identity and a passing one at that. There were lots of assumptions being made about my identities and my background and most of it was based on a temporal position. I’m a kid who spent most of his teenage years living in a motel where rent was paid by the week. I was thin in my twenties because I was malnourished and often near starving at times. I never made a living wage until well into my forties. When I left philanthropy, I wasn’t as good looking, I wasn’t as funny. With the Jewish community, any semblance of temporal privilege is contingent on the basis that Jews suppress their primary identity as Jews, except in those ways found acceptable by larger society. And when Jews choose to self-actualize their own identities the threat is always delivered that if the Jewish community doesn’t behave itself, access, safety and opportunity will be taken away. Sorry, but this doesn’t happen because Jews are seen as primarily “white” but because they are seen as something other than white. White communities simply don’t receive threats like this, they don’t need to. 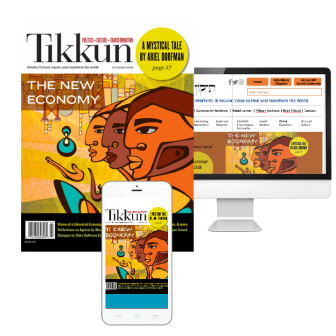 Tikkun: It seems to us at Tikkun as if your critique of the misuse of identity politics in contemporary social justice movements may have more importance and immediacy now after the election of Donald Trump. The electoral triumph of Trump wasn’t a fluke, it can’t simply be summed up by election tampering or bad strategies of containment by Republican and Democratic parties. This moment is a predictable trajectory of American politics fueled by racial demographic anxiety and xenophobia and by the inability of the Left to provide a more cohesive and compelling narrative of where we are going. The moment is not just about the strength of white nationalism as a social movement but also a profound example of what happens when we allow identity politics to be distorted and undermine our movements for change. We can no longer afford to accept distorted versions of identity politics that assert Americans who are white have no value beyond except as an ally to people of color. That attitude is not only strategically problematic, it’s morally bankrupt. It’s a perversion of white supremacist narratives to imply people have less worth in our movements simply because they have been designated white in this society. Our social change and justice oriented movements aren’t here primarily to reorganize definitions of race, we are here to fully dismantle the remnants of a white supremacist systems upholding the falsity of race. The contemporary real-world misuse of identity politics in our movements cedes ground to the white nationalists by writing off huge swaths of the very population they need to recruit to seize state power. Why would I concede a major portion of the U.S. population to a white nationalist movement committed to ethnic cleansing? In what world does that make sense? But that is what is happening. The concept of “being an ally” assumes others have no self-interest in each other’s liberation. This has often resulted in some recent movements unintentionally demobilizing most of their base and potential support. It is ridiculous to ask people to join us but demand that they set aside their self-interests. We aren’t robots. We are complicated human beings with multiple identities and interests. We have to lean in. Our job is to construct a democracy where everyone has value. This is about building a new table for all of us, not simply shifting who is sitting at the current one. Yes, the voices of the most vulnerable must be centered as solutions are crafted– they cannot be absent from those discussions. They must have the power to be able to influence those discussions; they must have the voice to be heard. But solutions must be crafted by everyone involved and must free all of us from the barriers that deny the ability for each of us to have actualized lives. Liberation must be explicitly voiced as for the liberation of all. It is simply not a true liberation movement unless it is grounded in a universalism seeking to advance all of us. As organizers and leaders, our role is to show people there are better ways for our families to live: for our children, our spouses and partners, our parents and our neighbors. This world doesn’t have to carry this much suffering. We are creative and smart, and when we come together, we can find our way out of this madness. But we can’t just say it, we must paint it vividly within our movements for all the world to see. We don’t need contemporary movement versions of identity politics or movements that are navel gazing and focused on picking the lint from our own bellybuttons. Our role is to be outward focused and about telling the stories of our neighbors and the stories of the society they are struggling to create. People don’t move towards a future they cannot conceptualize, particularly one where they are unable to see their own place as a respected part of it. If we are committed to constructing movements where people feel alienated, we should simply stop what we are doing. We don’t need to build a movement for that. That place already exists, and it’s called present-day America. I don’t know what Martin Luther King Jr. saw when he told the rest of us “I’ve been to the mountain top” but you can tell by the tone of his voice, it’s something beautiful and breathtaking. I want to see it for myself. Don’t you? But to really get to that mountain top, we can’t leave anyone behind who wants to come. That means taking on the burden of leadership in constructing an inclusive democracy, that’s how we get there together. To build it means being much more interested in talking about our liberation than our oppression. It means we can’t leave the slowest and most fragile behind us– which, ironically, when it comes to white supremacy in our society, means white America. Racism prevents you from embracing your own humanity, and you don’t get to enter the promised land without your humanity intact. We have to be committed to dismantling racism, anti-Semitism and other forms of bigotry because everyone has the right to embrace their humanity and that means white people too. If we leave white America behind, as we move towards that mountain top, what type of people will we be when we get there? Who are we to leave the most vulnerable behind us? Regardless of one’s background or societal privileges, our movements must make people who want to be part of us feel at home and valued. Everything else is simply commentary. Eric K. Ward is currently the executive director of Western States Center. Western States Center's mission is to connect and build the power of community organizations to challenge and transform individuals, organizations and systems to achieve racial, gender and economic justice. Eric is a long time civil rights strategist who spent 1990 - 2010 working with communities across the United States to counter social movements seeking to use bigotry and hate violence to undermine democratic society. Before joining Western States Center, Eric was the Program Officer overseeing racial justice and civil rights for the Ford Foundation. He was interviewed at our Tikkun office in Berkeley during a brief visit he made to the SF Bay Area. YES! But remember that among the most marginalized and vulnerable are people with disabilities!! And with the cruel budget slashes they are being impacted greatly by a President who thinks it is fine to mock and ridicule them. I do not have a disability but my wife since 1997, legal spouse since 2014, uses a mobility scooter. We are both white and cisgender and so we benefit from privilege. We also ironically have some passing privilege against direct homophobia due to ableism: when people interact with us they assume we are: mother and daughter, sisters, or I am her attendant. All they notice is the scooter. They literally cannot perceive the concept two women like us might be a married couple. They put us in one box. As the article says, we each have a unique combo of identities but we are NOT just these labels and we need to value everyone if we are to dismantle racism. I cannot speak for all Jewish people who also identify as white, of course but only for myself. When I heard this and the message that we need to be allies to those who are not safe, I agreed and wanted to help. Yet something did not ring true. It is NOT that I did not feel valued except as an ally. That was not an issue for me. It was instead that I felt there was nowhere to take my own feelings of fear at the enormous rise in hate crimes including within 24 hours a bomb threat against a JCC AND the discovery of a cemetery desecration in my local area. I felt that I was not entitled to HAVE these feelings. And trying to be an ally while denying my own fears took a lot of energy AND kept the focus in ME. And in fact I now recognize that focusing on anti-semitism can be a form of white fragility as it can be a form of deflection from talking or thinking about racism. And I could release this energy and move beyond the focus on self to realize there are many who are far more vulnerable. Example who could be shot in the back by police 8 times for simply their color. I know that Black Lives Matter and am raising my voice for all human beings with our each unique combo of individual identities. I was 60 in March and realize I am ignorant but am still learning.